Thats right the holidays are upon us, and that means the biggest party night of the year is right around the corner. Thanksgiving eve has and always has been a time for friends and family to catch up and party! Come join us this year November 22nd at the River Grille. 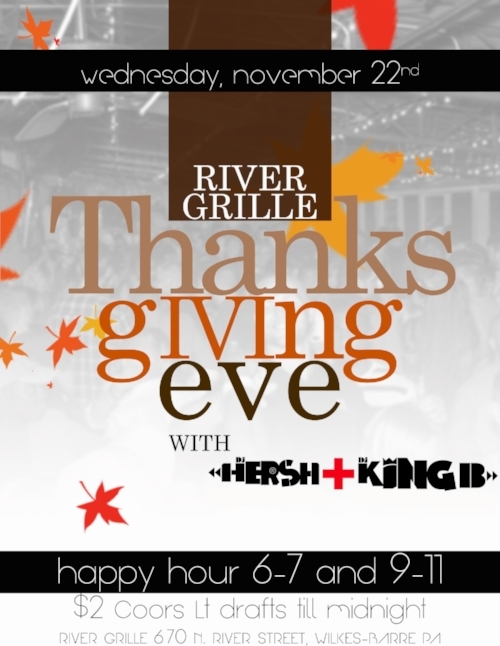 Dj Hersh and Dj King B will be getting the party started at 9:00 for all you early birds, so don't look any futher for your party than NEPA's #1 nightlife destination The River Grille.